The Landmann 25282 Barrone Fire Pit is an excellent choice with its contemporary style, solid construction and refined design. This 26″ wide wood burning fire pit fits perfectly in both medium and large spaces and provides plenty of room for friends and family to gather around. With the included poker, cover and spark screen it is considered on of the best wood burning fire pits available. 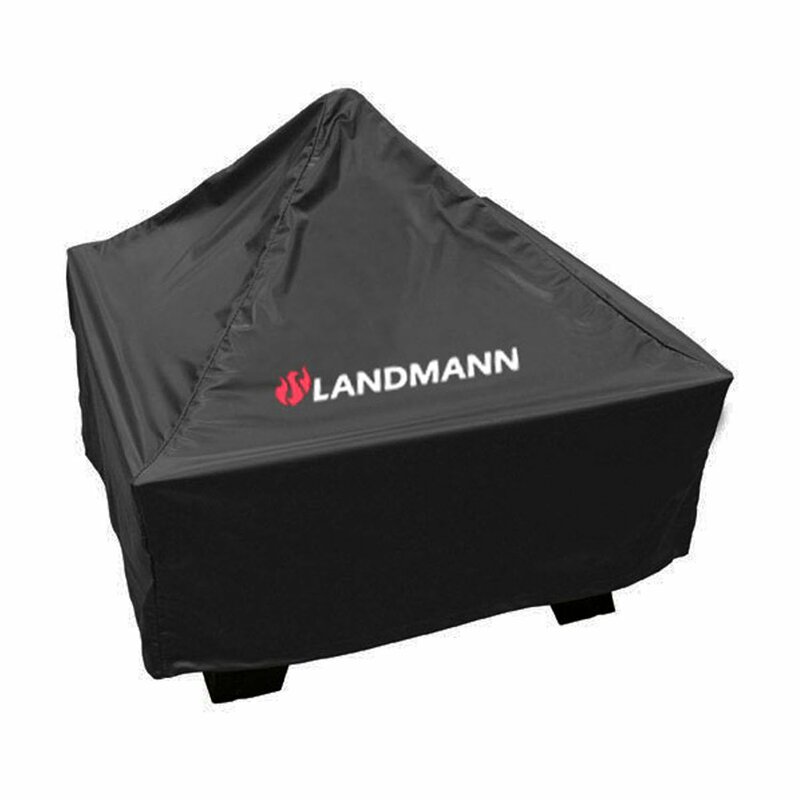 As with most wood burning fire pits, the Landmann Barrone is extremely easy to set up. With only three pieces and eight screws it takes one person only fifteen to twenty minutes to have the unit fully assembled. We did find the Landmann Fire Pit was fairly heavy for a wood burning pit at 30 lbs. but it is still easily movable by a single person, so if you don’t get the position just right you can quickly shift it around. Most of the extra weight comes from the heavy gauge steel that was used to construct the fire pit. 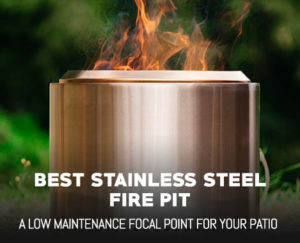 With thinner material it is possible that overtime the metal could rust out leaving you without a working fire pit. The Landmann Barrone does not share this concern as it has thick steel throughout the unit that is built to withstand the elements and extended heat exposure. The included vinyl cover is also very well made and fits perfectly with the angular shape of the fire pit. The seams are well sealed and repelled all water when we thoroughly doused it with our garden hose. The bottom tapered design is also a nice feature to ensures that even in high winds no pesky rain drops can sneak inside. We can safely say you won’t need to replace the cover anytime soon as it is high quality and built to last. The Landmann 25282 wood burning fire pit also comes with poker and a very nicely designed spark screen that matches perfectly with the overall style of the fire pit. While the poker is more of a handle with a long hook and mostly used to remove the hot lid, it is very functional and we had no problems with it. 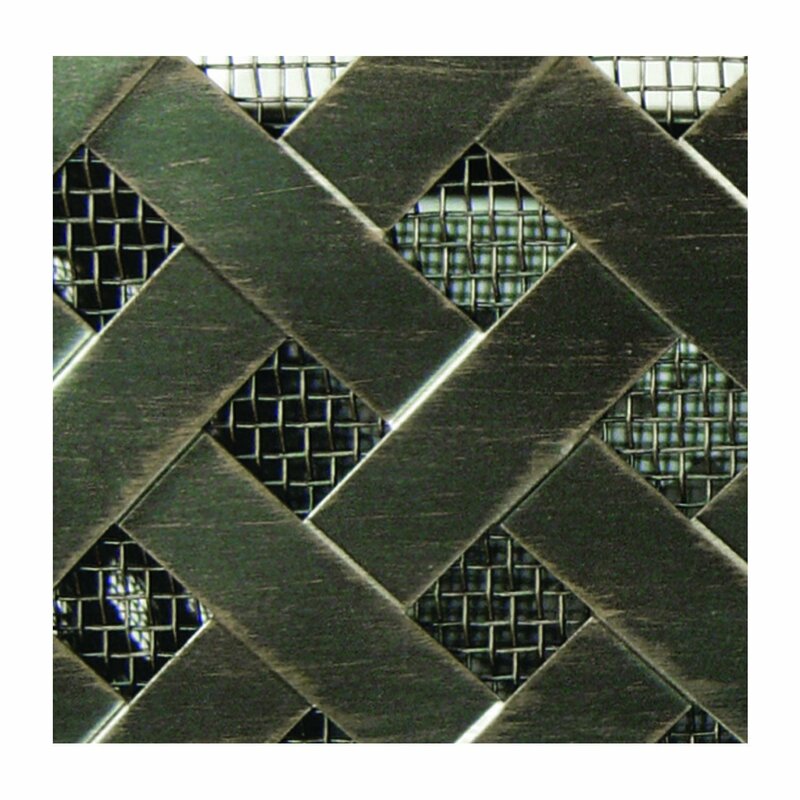 The spark guard also worked very well with its smaller weave mesh and managed to keep in all but the tiniest of sparks. We had no issues using this in our lawn as we were certain the embers would stay well contained. Speaking of the lawn, we spread a bit of sand around the bottom of the fire bowl as it can get a bit hot. 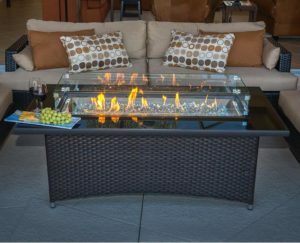 The added sand allows wood burning fire pits to disperse some of the bottom heat over a larger area so you don’t get a single hot spot that can toast your lawn. 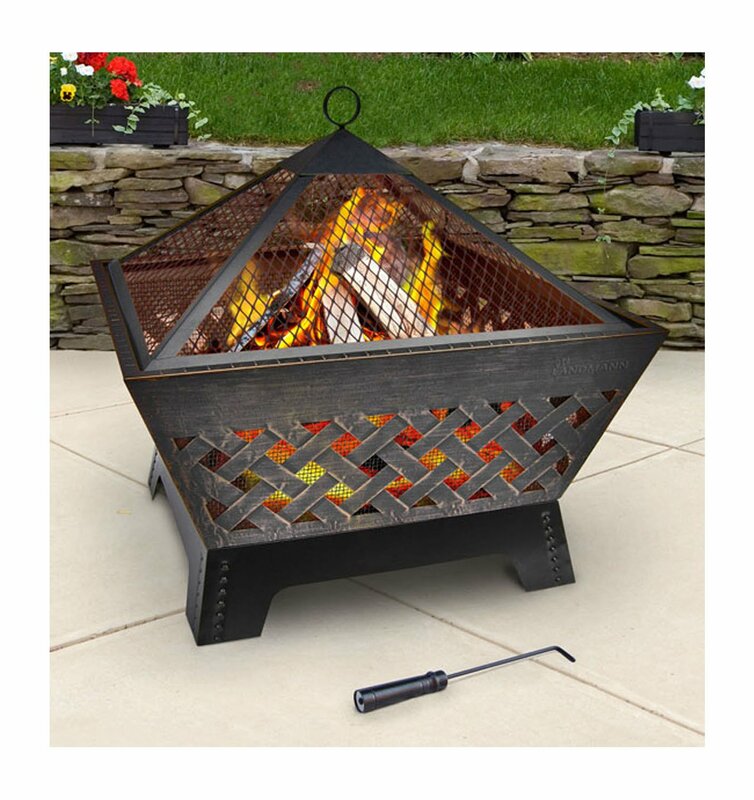 We would recommend that you do add sand if you purchase this fire pit, in our opinion there is no point in taking a risk when fire is involved. 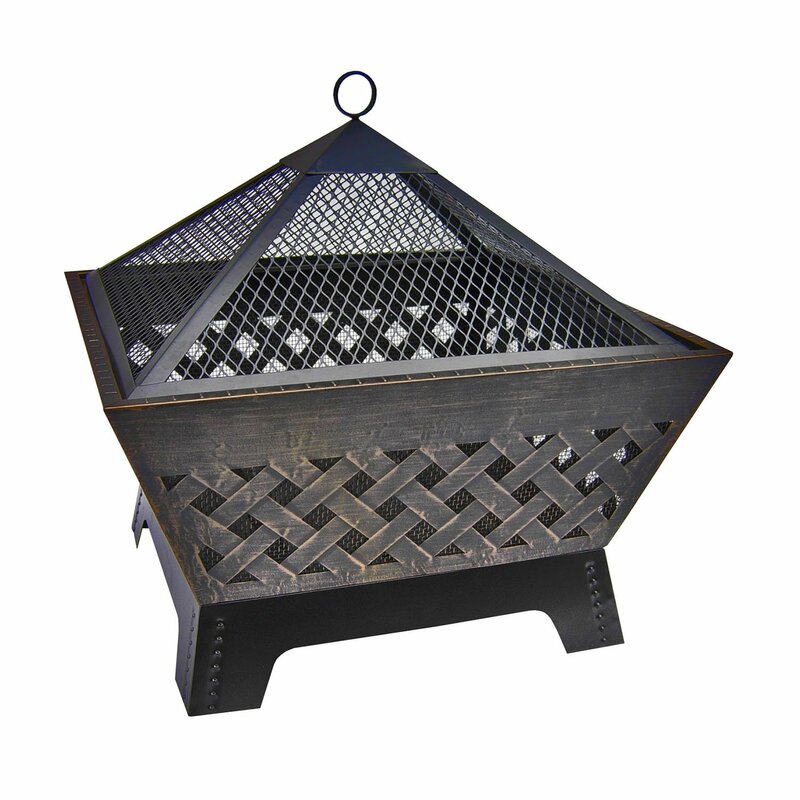 Design wise the Landmann 25282 Barrone Fire Pit is absolutely stunning with an antique bronze finish, decorative cross hatching throughout the fire bowl and an angular look that hearkens back to medieval Europe mixed with modern style. 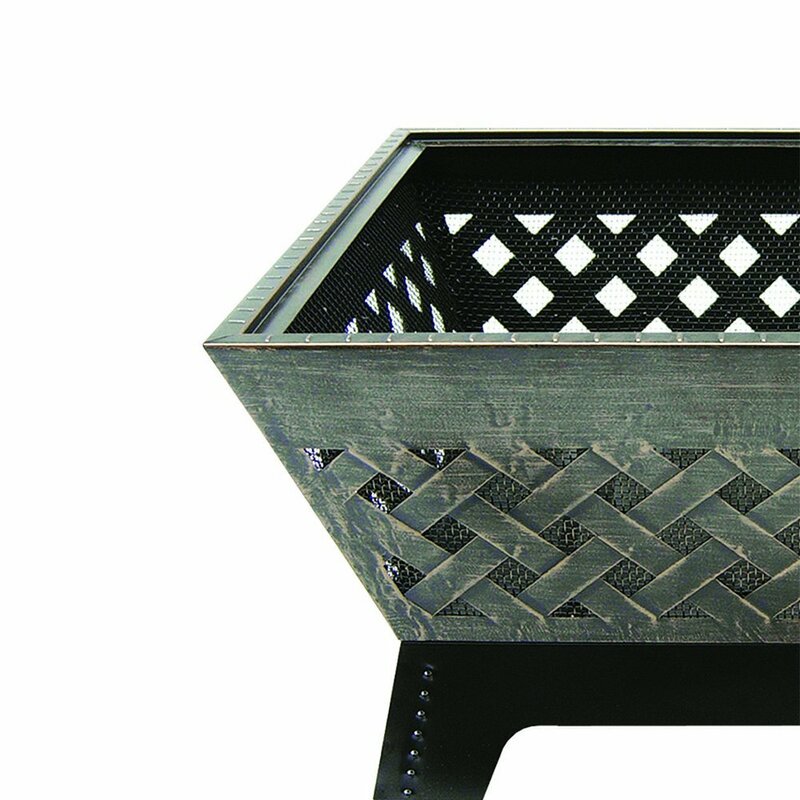 This wood burning fire pit is all about the details, even the distressed metal edges and riveted legs add to the overall design. The pyramid shaped top cover provides a great focal point for the unit and really helps to sell the overall look. Plus the height of the top makes it very easy to fit odd shaped logs in and means you won’t burn yourself when you go to take it off. We’ve seen some designs where you almost had to lean over the entire lid to take it off. Overall we got a ton of great compliments on the Landmann Fire Pit and it provided a great refined yet primal feel to our backyard. As an outdoor fire pit it was the perfect size, created a ton of heat, and was extremely well built. We were a huge fan of the heavy duty steel construction and high quality included accessories. The fact that we were able to fully assembly the unit so quickly was also an added bonus. If your in the market for a outdoor fire pit that will be sure to impress the neighbors and provide many relaxing nights, the Landmann 25282 Barrone Fire Pit will be a perfect addition to your patio.